September 2014 | Florida Law Advisers, P.A. Do You Have to Sell the Home in a Divorce? 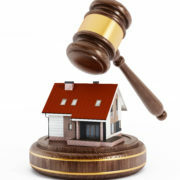 Generally, under Florida divorce law, you may not have to sell the home in a divorce. When a couple seeks to force the sale or division of the marital home, a civil action for partition is necessary. If the Florida family law court grants the application for partition, the home may be either divided amongst the parties or sold with the proceeds being divided amongst the couple. If you are seeking to partition a home or prevent the partition you should seek the advice of an experienced divorce attorney in Tampa. Knowing how to sell the home in a divorce or prevent a partition can be difficult without legal counsel. Under Florida Statute §689.115, when a married couple jointly purchases a home or other personal property it is presumed that the property will be held as a tenancy by the entireties. In a tenancy by the entireties, the property is owned by the marital union, rather than by the individual spouses. Each party to the marriage will have one half interest in the marital union, which in turn owns the property. The parties to the marriage will jointly be entitled to any profits, rents, or liability from the property held as a tenancy by the entireties. Further, neither spouse can transfer their interest in the property without the other spouse joining or consenting to the transfer. If the property is held as tenancy by the entireties it may require additional legal action to sell the home in a divorce. When a couple divorces, property held as tenancy by the entireties automatically converts into a tenancy in common. See Florida Statute 689.15. When property is held as tenants in common each owner has the right to sell, lease, or mortgage their interest in the property. Therefore, a Florida family law court is able to order a partition of the property as a means to sell the home in a divorce. If the couple is not divorced, the property will remain a tenancy by the entireties and not subject to a partition by the court. Names and addresses of the owners and other parties with an interest in property. For example, if the property is rented, the current tenants would have to be included. If you are contemplating filing for a divorce and are concerned about keeping your fair share of the assets call us today to speak with divorce lawyer in Tampa. Our divorce lawyers have years of experience helping people with their divorce and child custody disputes. Every divorce is different, and our vast experience allows us to cater our services to each client’s specific situation. Whether a couple mutually agrees to the terms of a divorce or are engaged in a fierce battle for their property and child custody rights, Florida Law Advisers, P.A. can help. We are available 24 hours a day, 7 days a week and offer a free initial consultation to prospective clients. https://www.floridalegaladvice.com/wp-content/uploads/2014/09/shutterstock_649128958.jpg 5250 4512 Florida Law Advisers https://www.floridalegaladvice.com/wp-content/uploads/2017/05/logo2.png Florida Law Advisers2014-09-29 13:41:362018-06-26 15:41:57Do You Have to Sell the Home in a Divorce? In a Chapter 13 bankruptcy, the debtor’s objective is to obtain court approval of a Chapter 13 payment plan that pays creditors as little as possible while still keeping all of their property. On the other hand, creditors will be seeking as much money as possible from the debtor under the Chapter 13 payment plan. Therefore, it is important to hire an experienced bankruptcy attorney in Tampa who knows the law and can advocate on your behalf. Creditors will likely have a team of attorneys on their side and it can be difficult to battle them without competent legal counsel. Bankruptcy law will require the proposed Chapter 13 payment plan to satisfy many requirements before being approved. Below are three of the most common requirements imposed under Chapter 13 bankruptcy law. For information about the payment plan for a specific case you should contact a bankruptcy lawyer for assistance. Identify the sources of funds or other property that will be used to pay the debts. This entails the debtor committing a specified portion of their income to make the payments prescribed in the plan. The payments to creditors can be stretched out for up to 5 years. See bankruptcy law 11 U.S.C. 1322. The allocation of payments must be feasible for both the debtor and creditor. In terms of the debtor, it must be feasible that the borrower will be able to make the proposed payments based on the debtor’s current income. From a creditor’s standpoint, the payments must be feasible to satisfy the debt owed. Detail how the funds will be distributed amongst the creditors. The Chapter 13 payment plan must provide for secured claims to be paid the present value of the property that it secures, unless the creditor agrees to accept a lower amount as full satisfaction of the debt or the debtor surrenders the property. On the other hand, unsecured claims only have to be paid as much as they would have received if the debtor filed for Chapter 7, instead of Chapter 13. The amount the creditors would receive in a Chapter 7 depend on a multitude of factors, for more information contact a bankruptcy law firm in Tampa. Creditors do have a right to object to the proposed payment plan. However, if the payment plan allocates the funds in accordance with bankruptcy law the judge must approve the plan, despite the creditor’s objections. Your bankruptcy lawyer should be well versed in overcoming creditors’ objections, as it is a common practice in Chapter 13 bankruptcy. If the debtor makes all the payments under the court approved payment plan and satisfies all the other Chapter 13 requirements the debtor will be entitled to a discharge. The discharge is a permanent court order releasing the borrower from the responsibility of having to pay the debt.. Further, the discharge prohibits a creditor from taking any collection action against the borrower. In most cases, obtaining a discharge will be the primary reason why a borrower files for bankruptcy. However, there are many nuances of bankruptcy law which can prevent a discharge of certain debts. Therefore, it is important to seek the advice and counsel of an experienced Chapter 13 bankruptcy law firm in Tampa when pursuing relief in bankruptcy. If you are having a difficult time meeting your financial obligations, Florida Law Advisers, P.A. may be able to help. Our bankruptcy attorneys have years of experience helping people just like you to solve their financial problems. We understand these are very difficult times and we are here to help. In some cases, filing for bankruptcy may be a good solution, however, it is often not the only solution available. The right course of action will depend on the unique circumstances of your case. To see which options may be available to you, contact us to today to schedule a free, confidential consultation with a Tampa bankruptcy attorney at our firm. When a couple goes through a divorce the court will order an “equitable distribution” of the martial assets and liabilities. Generally, the court will divide the marital assets and liabilities 50/50 between the couple, unless there are factors that would make an equal split inequitable. See Florida Statute 61.075. Therefore, if you are filing for divorce when you own a home the property may be subject to equitable distribution. The first step a Tampa divorce attorney typically does when preparing for a divorce case is to classify each asset and debt as either marital or separate property. For instance, if filing for divorce when you own a home, your divorce lawyer in Tampa should review the details to determine if the home is marital or separate property. Only marital property/ debt is subject to equitable distribution by a court; separate property will remain the property of the spouse who owns it. Marital property is typically all debts and property acquired jointly during the term of the marriage. However, there may be exceptions that apply, you should speak with a divorce lawyer in Tampa to see if any exceptions are applicable to your particular situation. If filing for divorce when you own a home you should review the property’s deed to determine how ownership is recorded. Under Florida Statute §689.115, when a married couple jointly purchases a home or other personal property it is presumed that the property will be held as a tenancy by the entireties. In a tenancy by the entireties, the property is owned by the marital union, rather than by the individual spouses. Each party to the marriage will have a half interest in the marital union, which in turn owns the property. The parties to the marriage will jointly be entitled to any profits, rents, or liability from the property held as a tenancy by the entireties. Further, neither spouse can transfer their interest in the property without the other spouse joining or consenting to the transfer. Additionally, a creditor of one spouse may not encumber property held as a tenancy by the entirety without both spouses being a party to the agreement. Additional considerations should also be paid to property that is classified as homestead under the Florida Constitution. If filing for divorce when you own a home that is registered as homestead additional steps may be necessary to complete the process. Property that has been properly designated as homestead is exempt from levy by creditors and may also benefit from reduced taxes. The purpose of homestead is to promote stability and welfare by allowing homeowners to continue to reside in their home despite financial misfortune and the demands of creditors to levy the property. See Public Health Trust of Dade County v. Lopez. Homestead property held by a married couple may not be sold or encumbered unless both spouses consent. For instance, a mortgage cannot be placed on the property unless both spouses agree to it. Further, a spouse cannot give the homestead property to a third party in a will unless the other spouse agrees to the devise. The protection is limited to ½ acre of contiguous land within a municipality. Property located outside a municipality is protected up to 160 acres of contiguous land. If you are contemplating filing for a divorce when you own a home and are concerned about keeping your fair share of the assets call us today to speak with Tampa divorce attorney. Our divorce lawyers in Tampa have years of experience helping people with their divorce and child custody disputes. Every divorce is different, and our vast experience allows us to cater our services to each client’s specific situation. Whether a couple mutually agrees to the terms of a divorce or are engaged in a fierce battle for their property and child custody rights, Florida Law Advisers, P.A. can help. We are available 24 hours a day, 7 days a week and offer a free initial consultation to prospective clients. Often, clients ask us how to change child custody in Florida cases. Florida child custody judges use parenting plans to resolve disputes amongst the two parents. A parenting plan should detail the responsibilities and decision-making authority each parent has for the children. The parenting plan, at a minimum, must describe how the parents will share and be responsible for the daily tasks associated with the upbringing of the child, specify the time children will spend with each parent, and designate who will be responsible for any and all forms of health care, school-related matters, other activities. Once the parenting plan has been issued by the Court it will be binding on both parents. However, Florida Statute 61.13 may be a solution if you are inquiring how to change child custody in Florida. In order to change child custody in Florida under Statute 61.13, there must be a substantial, unanticipated change in circumstances and the proposed change is in the child’s best interest. The burden of proving that the change is unexpected and substantial can be difficult without competent legal counsel. Therefore, if you feel it will be in your child’s best interest to either modify or prevent a change in the parenting plan you should contact a Tampa child custody attorney for assistance. A Florida family law court is likely to deem a change substantial when there is a combination of factors. For instance, allegations of substance abuse is generally not enough to automatically be deemed substantial unless the abuse poses a danger to the child. See Farrow v. Farrow. 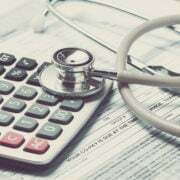 Further, changes in the health or financial condition of a parent is typically not enough by itself to be considered substantial. However, if the change is coupled with some other situation, such as depriving the child of stability it may be deemed a substantial change. For more information on Florida’s requirement for a substantial change in circumstances see Florida child custody case, Perez v. Perez. If you have questions about how to change child custody in Florida for a specific case contact a child custody law firm in Tampa for assistance. The court’s primary focus when determining child custody disputes the best interests of the child. The court will consider many different factors when determining if the proposed change in child custody will be in the child’s best interest. 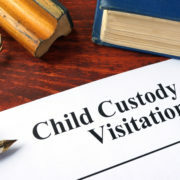 It is important that your child custody lawyer know how to change child custody in Florida and which factors the court will consider in its evaluation. Florida law does not give any preference to mothers or fathers when deciding child custody matters. Instead, the custody arrangement will depend on the specific facts and circumstances of each case. A Florida family law court will determine custody based on the best interest of the child, and it is up to your attorney to prove to the court that your parenting plan is in the best interest of the child. The child custody attorneys at Florida Law Advisers, P.A. know what judges consider when evaluating parenting plans and are skilled advocates. We can draft the parenting plan and help persuade the court that your plan is in the best interests of the child. Florida Law Advisers, P.A is a child custody law firm in Tampa that understands how important child custody matters are and work tirelessly to protect a client’s rights and do what’s best for the child. If you are inquiring how to change child custody in Florida call us today to speak with a child custody attorney in Tampa and schedule your free consultation. If you are having a difficult time meeting your financial obligations bankruptcy may provide some relief. Bankruptcy is intended to alleviate the financial burden and give borrowers a fresh start. It is not necessary to hire an attorney to file bankruptcy; however, it is recommended that you do seek the aid of a bankruptcy attorney in Tampa before taking any action. Without competent legal advice you may be unaware of all the potential pitfalls and requirements for bankruptcy. For instance, bankruptcy law will require the debtor to attend two credit counseling courses as a requirement to file bankruptcy. Under bankruptcy law 11 U.S.C. §109(h), a debtor must complete a credit counseling briefing within the 180 days immediately preceding the case as a requirement to file bankruptcy. The briefing must be done by an approved nonprofit budget and credit counseling agency. Further, the briefing must outline the opportunities for credit counseling and assist the debtor in performing a budget analysis. The briefing can be done on an individual basis or conducted in a group setting. Moreover, the briefing can take place by telephone, internet, in person, or even in your attorney’s office with your bankruptcy lawyer present. Once the course is complete the debtor will need to file a statement of compliance to satisfy this requirement to file bankruptcy. The statement must include either a certificate and debt repayment plan or a statement that debtor received the briefing but does not have a certificate. The credit counseling agency conducting the briefing must be approved by the U.S. Bankruptcy Trustee. To find a credit counseling course in your area contact Florida Law Advisers, P.A. to speak with a Tampa bankruptcy attorney. Additionally, you can find a list of providers by clicking here. Bankruptcy law does provide some exceptions to the credit counseling requirement to file bankruptcy. Debtors who are unable to complete the briefing due to incapacity, disability, or active military duty in a military combat zone are exempt from the credit counseling requirement. 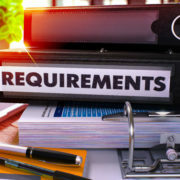 Additionally, debtors may obtain a temporary waiver of the briefing requirement by a showing of exigent circumstances that prevented the counseling. If the court decides the exigent circumstances merit a waiver the debtor may be given an additional 45 days to complete the briefing. For more information on how to waive the credit counseling requirement contact a bankruptcy law firm in Tampa. We understand that filing for bankruptcy can be a very confusing and intimidating process, which is why we work so hard to make the process as easy as possible for our clients. If you need help with a requirement to file bankruptcy we can help. When you hire Florida Law Advisers, P.A., you get an experienced bankruptcy attorney in Tampa at your side throughout every phase of the bankruptcy process. We will help ensure your rights are protected, keep you well-informed, and help you receive the utmost protection bankruptcy can offer. To schedule a free consultation with a bankruptcy lawyer in Tampa call, email, or fill out an online inquiry on our website today.